For years now, the Heidenao K60 Scout has come to be the main standard when it comes to adventure bike tires. I decided to write a heidenau k60 scout review based on my long term experience with these tires. 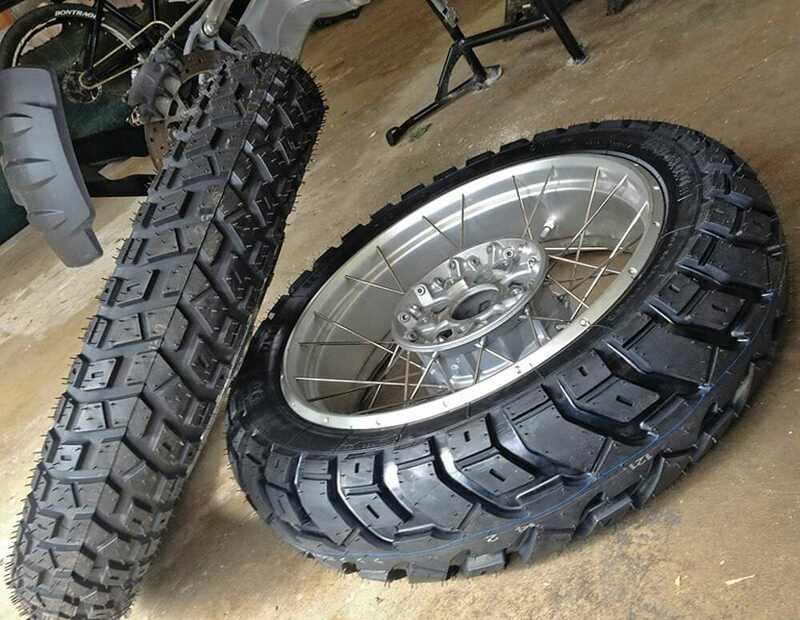 I have actually shed a number of K60s, a couple of Karoos, a pair of Michelins and a Metzler Tourance road tire in my search for the ideal mix of durability and comfort. The design and tread pattern of the Scout has been iconic with adventure riders, just because it works. Long distance motorcyclists should be well familiarized with roadside tire adjustments. I am thankful for the shade of an abandoned building one cozy Sunday mid-day in Grand Junction, Colorado when the last mile of tread was spent from my back tire. Mine had pushed up to 4k miles, and for a TKC80, going past 3.5k is already a plus. I was still a long way from our destination as I caught up with my friends. Circumstances like this leaves me asking if there could not be a far better tire for my bike. Many of my long range trips consist of huge parts of dust, and though I value the road tires’ extensive wear and taking care of tarmac twisties, off-road grip is necessary for me. I first heard of the Heidenau when I was looking for recommendations for my BMW R1200GS. After following the Heidenau for some months, I was blown away by the excellent reviews of bikers who have tried it on and off road. Heidenau has actually been making tires in the erstwhile East German city of Heidenau back in 1946. However, its products weren’t readily available until the Berlin Wall dropped in the late ’80s. 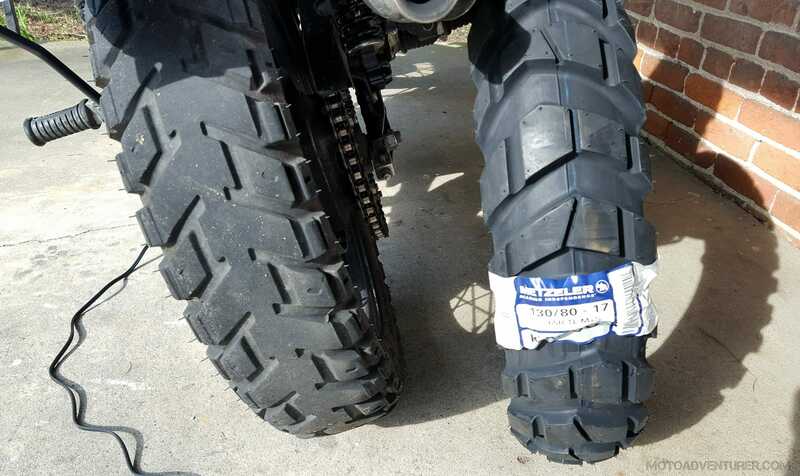 Heidenau tires have actually been readily available in the United States only in 2007, when John Bettencourt at Moto Amore, a tiny importer in Santa Clara, California, found the brand name while looking for substitute tires for classic scooters. I decided too write up a Heidenau K60 Scout review. The Heidenau K60 Scout is made for 50/50 efficiency on and off road riding. It was built to last, to minimize wear, and must I say, the K60 is tough. The open pattern makes the front a little bit much more dirt-worthy compared to the back due to its continual rubber facility strip (17″ variation just), an attribute that accounts for some of the Heidenau’s prolonged life on large bikes. They use excellent grasp in soft to tool surface, yet offer up a little percent of grip to the TKC80s’ a lot more hostile walk. On my next trip to Utah, I made sure that I had a K60 Scout spare with me. The TKCs that I installed on that Sunday afternoon several weeks ago still had several miles to it. While we were a few miles in, the group stopped for some refreshments and I decided to put on the K60 on both front and rear tires. Basic observations upon looking at the K60: man they’re tough! They had an unusually hard sidewall, so good luck to me putting it on later, and two, the tread pattern looks great. I’ve seen the reviews, and they said it was a bear to put on, and so I determine to spoon on a set of Heidenaus . “Spooning on” underrates the initiative, given that they are a much harder and also stiffer tire compared to the Conti. Utilizing my lengthy tire irons and grease-barrel tire equipment, I ultimately wrestled, jostled, huffed and puffed, and finally wrangled them right into position. Our next part of the journey was plenty of back to back dirt and asphalt roads, and I thought, this is good ground for a road test. When we finally left the refreshment area, I realized that the Heidenaus did require some breaking in. At first it was kind of slippery, and yes, hard, and it produces a humming noise. It was not that noisy but noticeable, and I wish I had my earplugs with me. It was, shall I say, squeaky new on the asphalt and I had to be cautious for the first hundred miles. After a few hundred miles, the tire was broken in and it was quite comfortable handling after that. As we were treading the asphalt, I was not that confident with how the K60s handled the twists and turns as I was with the TKC80s. If you are a fan of carving twisting roads, you better watch out when using a K60. All those toughness and bonus miles comes with a price. When we came to the dirt roads, that’s when the Heidenaus exceeded my expectations. It wasn’t as great as the good old knobbies, but it was surprisingly great for a dual-sport tire. The pattern in the front tire gives it a good grip on the dirt and the spaces in between do not accumulate mud. The rear has a continuous rubber center strip and it probably accounts for the bonus miles that comes off it. It was good off road except on the stickiest mud, which was okay, since it was not a knobby. So did it really last as long as the other reviews said it had? This is the part where the K60s leave its competition behind. 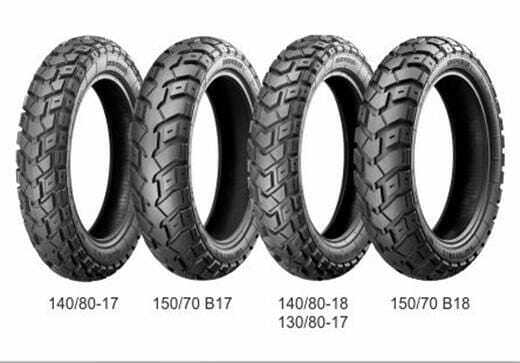 The Continental’s 10.5 mm tread for the front tire, the Conti’s 8.3 mm are dwarfed by the Scout’s 10.86 mm rear tread. I had to go through 5,000 miles of road and dirt but it barely scratched my front K60s and left half usable tread life for my rear. The front still had 6mm and the rear almost 7. My basic judgement on the Heidenau K60 Scout is that for long rides, the Heidenau is the clear victor. 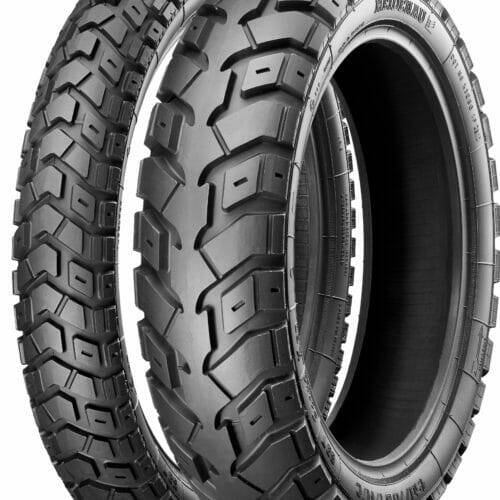 The grip, although really great for a dual sport 50/50 tire, drops short of the Continental. Up until somebody makes a double substance dual-sport tire, these are choices and sacrifices we have to make. All in all, I think the Scout saves money and effort (if you ask a mechanic to put on the tires, that is) for long distance rides.